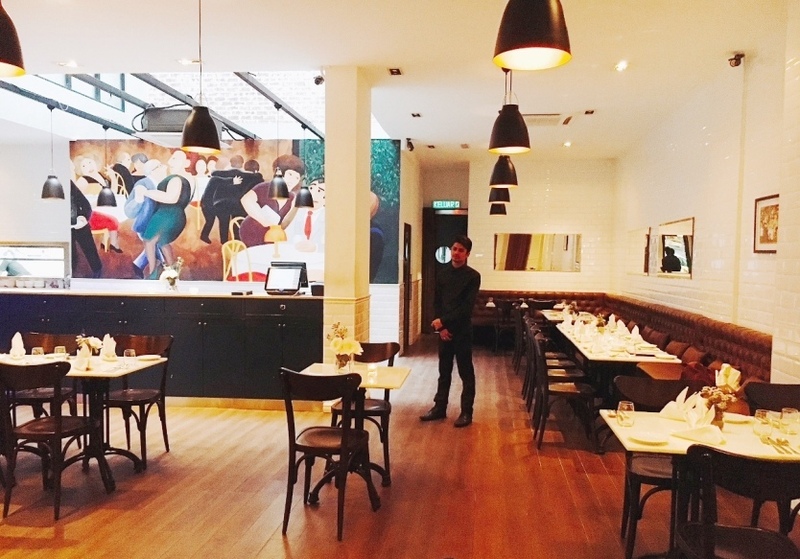 It’s a taste of French food at 2OX Bistro and Bar at The Row in Kuala Lumpur. It is so called because the owners are proud to have been born in the Year of the Ox, an animal known for its hard work and industry. (It’s NOT 2XO as some have been referring to it as). 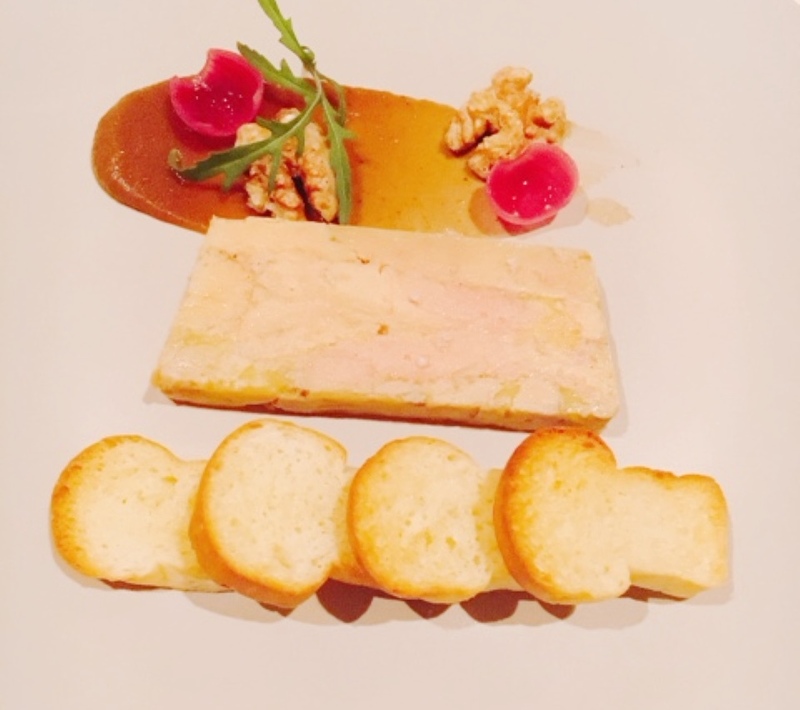 You could tell the food here oozes French technique and style, beginning with the Cognac foie gras terrine with onion chutney and home-made brioche toast. The satiny foie gras terrine lifted on to a piece of toasted brioche, and topped with sweet onion chutney, just melts in the mouth. The light, buttery brioche crumbles under it. A thread of delicacy also runs through the Lobster Bisque with Carrot Bon Bon. 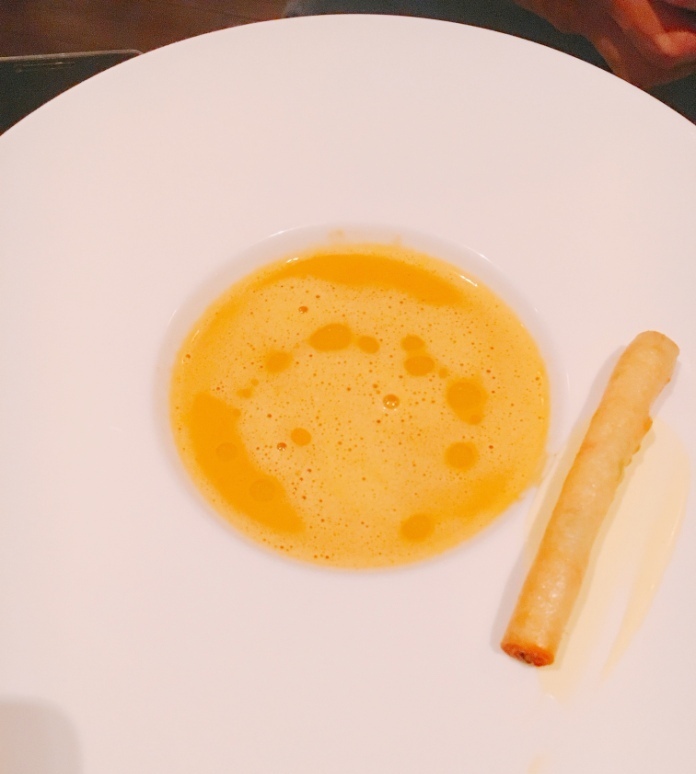 The lobster flavours are distinctive, imparting a sweetness to the bisque which had small knobs of lobster in it. 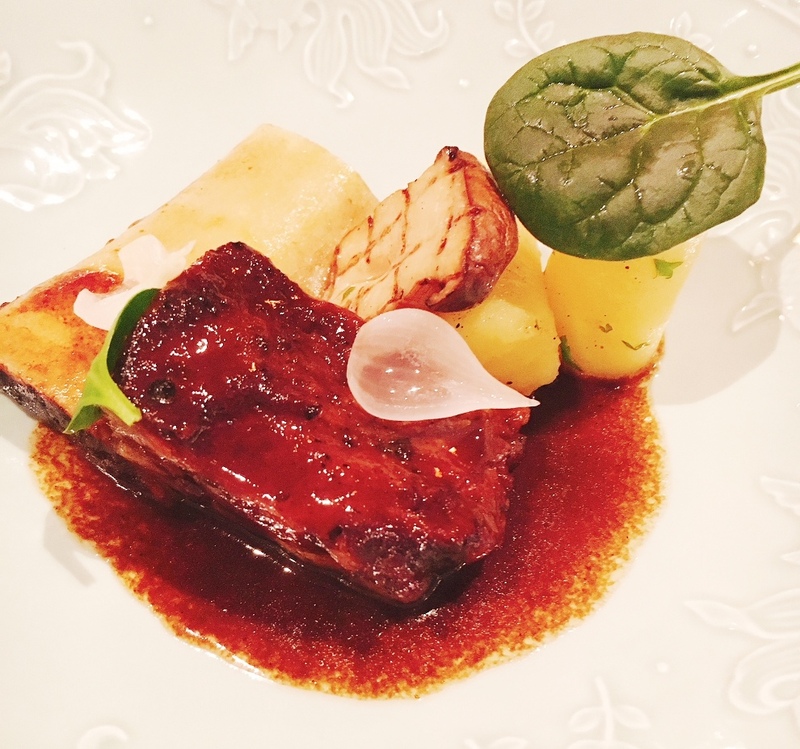 Our main course is the Espresso braised beef short ribs, fondant potatoes and king oyster mushroom. The creamy meat with a little fat falls off the bone and is well infused with the subtly sweet sauce with hints of espresso. We loved the sauce and the tender beef with it. It was also good for dredging the fondant potato through it. 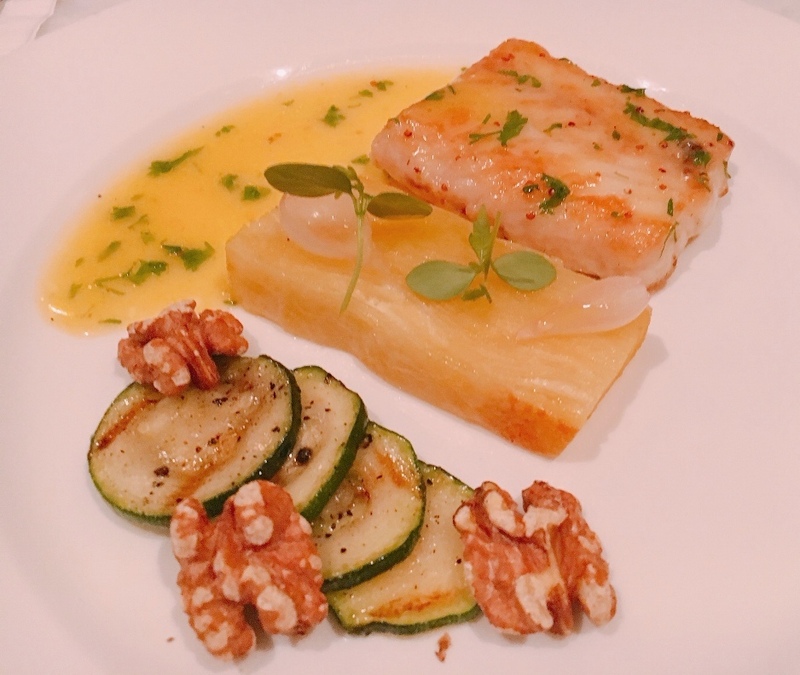 Another main course to like is the Dover Sole, grilled squash, meuniere sauce and toasted walnuts. This is a classic French dish, with the fillet of sole panfried in butter and finished with the light butter sauce, lemon and parsley. The sole is a local one, with soft, smooth texture and an inherent sweetness, pairing well with the sauce. It was served with lovely Dauphinoise potato, thinly layered and baked with cream, grilled squash and walnuts. Duck confit is another classic French dish. At 2OX the duck thigh had been slow cooked in fat for 6 to 7 hours, the skin crisped under the salamander and served on an asparagus coulis with fondant potatoes, citrus duck glaze and grilled radicchio. The chef had given a modern twist to a traditional French staple with a light, fresh asparagus coulis, striking a delicious balance with the richness of duck. We shared desserts of Chocolate Souffle and Pineapple Carpaccio with mango-passionfruit mousse and mascarpone ice cream. 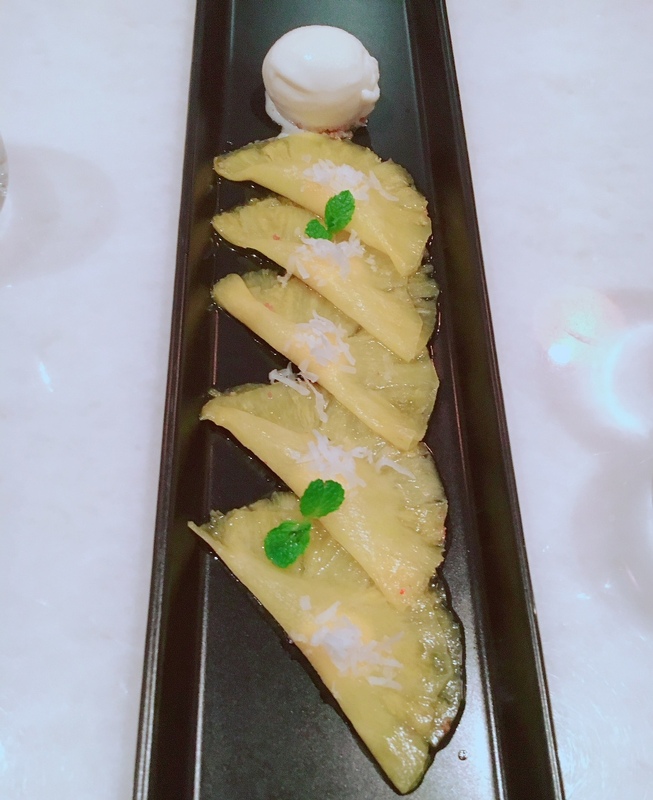 I plumped for the Pineapple Carpaccio which had a soft, smooth texture with a little crunch and the fragrant fruity mousse in it. The mascarpone ice cream was a sheer delight. 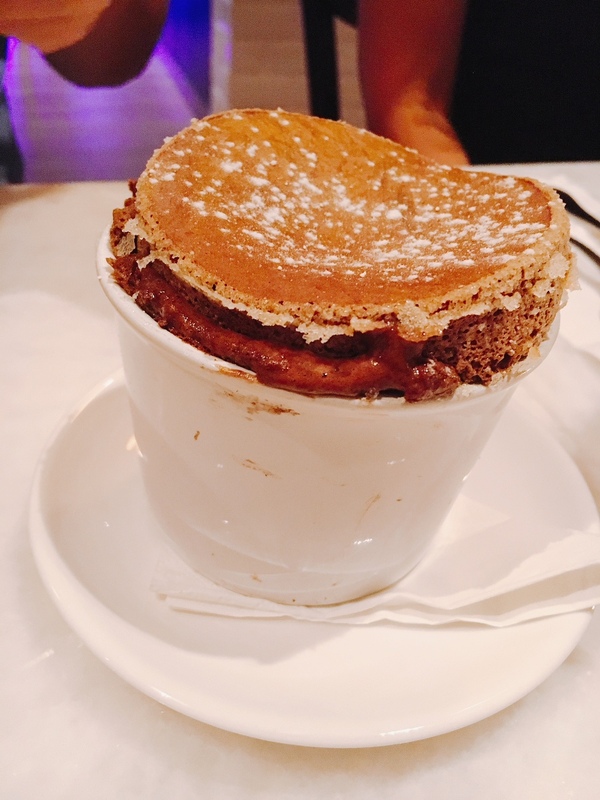 Somehow the Chocolate Souffle tasted a little flat though it had risen expectedly. You can create your own three-course French lunch or dinner from the menus at 2OX. It could be the foie gras, beef short ribs and the pineapple carpaccio, or any starter, main course (or today’s special) and dessert for RM120++ in the Red Menu. The Blue Menu offers a starter, main course and dessert for RM88++. It’s a good deal as on the extensive a la carte menu foie gras is RM55, lobster bisque RM26, beef short ribs RM90, Dover Sole RM75, Chocolate Souffle RM20 and Pineapple Carpaccio RM30. 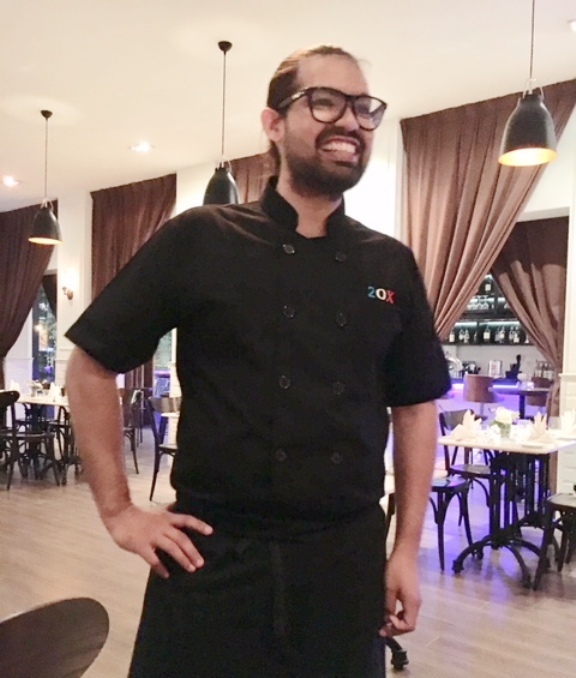 Chef Phillip Murray Dominic has transformed the French menu at 2OX, bringing to it his 11 years of experience working with various French chefs at home (Ritz Carlton and Le Meridien) and abroad in Italy and Austria.